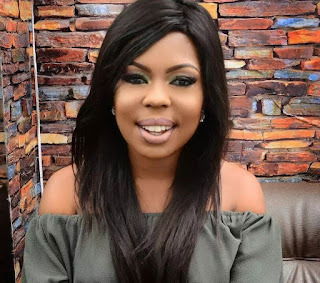 Controversial broadcast personality Afia Schwarzenegger has joined the all-new TV Africa, Enewsgh.com can confirm. The former Angeltainment Presenter made this official in an interview with Nikki Samonas on TV Africa’s Morning show #Breakfastlive on Monday. Afia has previously worked at Happy FM, Kasapa FM, Okay FM, United Television and Angel TV. According to station sources, Afia will host a comic Political fact checking show Political Police, which will start airing soon. The New TV Africa after its relaunch on Monday, February 12, 2018, has faces like actress Nikki Samonas, Parliamentary Aspirant for the 2016 Weija-Gbawe constituency, Obuobia Darko-Opoku, Khadijat EL-Alawa, Chris Attoh, Baby G, Kofi Laing among others. Led by Mr Ekow Blankson, and astute producer Shirley Frimpong Manso, the Ideal groupe owned media is on the path to become Ghana’s favourite Television Channel in coming months with innovative programs targetted at Millennials.